I tried to avoid commenting on current events in this blog, blockbuster films, new books, new television shows, but not current events. 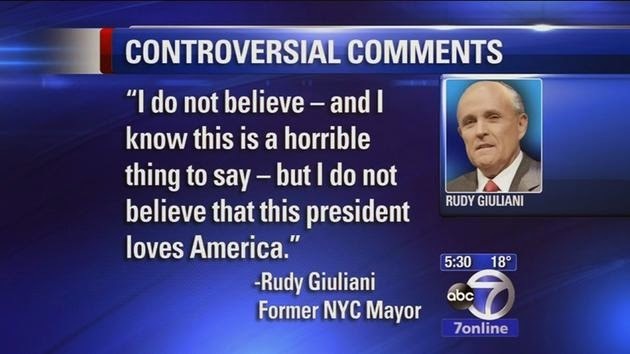 However, Giuliani's recent remarks about Obama are only interesting to me because the seem to be another event in a general trajectory of what I would call, for lack of a better term, emotional reductionism. Emotional reductionism is the insistence that the only meaningful political distinctions are emotional ones, and those emotional distinctions boil down to love and hate. 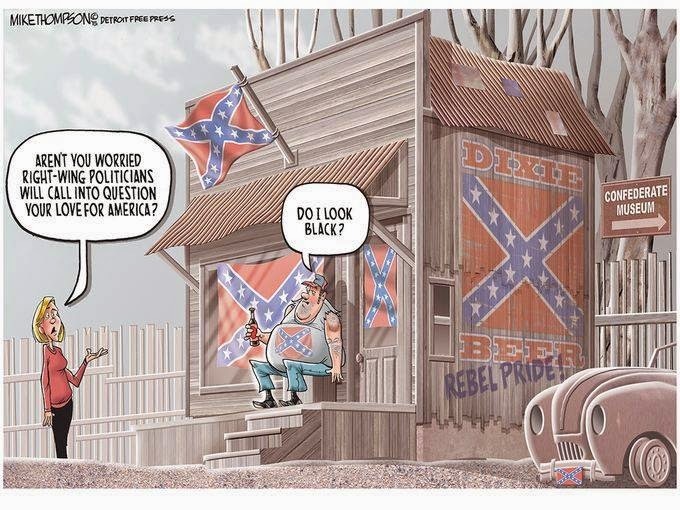 I can think of quite a few instances of this in recent years, they "hate us for our freedoms," they love death, etc. Politics has become an affair of love or hate. In writing about this trend (and I should say that it is a working hypothesis that this is a trend, that love and hate have replaced other ways of talking about political differences, displacing ideology, economics, or other distinctions of friend and enemy) as someone who is interested in affects as a tool of political and socio-economic analysis. Thus the first question is how to differentiate between the politics of affect and the reduction of politics to emotions. I do not think that it is enough to make a reference to the distinction between affect and emotion. Nor could one simply conclude, as perhaps Zizek might, that every sophisticated theoretical perspective necessarily carries with it its vulgar opposite as in a kind of parallax view where vulgar "affect theory" becomes the new vulgar marxism. Instead I would like to ask a different question--one that is perhaps hopelessly meta--is what is the affective composition of this understanding of politics exclusively in terms of loves and hates? In the Political Treatise Spinoza argues that a particular affect can unify and define a collective, acting as if with one mind. "Since men, as we have said, are led more by passion than by reason, it naturally follows that a people will unite and consent to be guided as if by one mind not at reason’s prompting but through some common emotion, such as a common hope, or common fear, or desire to avenge some common injury." A collective is defined by its common loves, hates, fears, and hopes. However, this unity is complicated by three equally important ideas. First, there is what Spinoza refers to as the ambivalence of the affects, an ambivalence that is due less to the instability of any one affect, than the fact that the same thing, person or object, is as much the cause of sadness and joy, love or hate. This brings us to the second point, "anything can be the accidental cause of joy, sadness, or desire" (EIIIP15). Our hates and loves are defined less by some property of their object, than by a relation by the fact that something once affected us, caused joy or sadness. Or rather we thought that it did, our ideas of our affects, of what causes hatred and love, can be inadequate or adequate. What we think is a cause of our desire might only have been a coincidence. There is a certain arbitrariness to our loves and hates, as much as adequate knowledge could construct the causal conditions of our affects. Finally, as much as Spinoza argues our loves and hatreds are social, intensified by the love and hatred of others, argued that it takes a “heart of steel” to love alone, this centripetal force driving individuals towards the same love and hatreds is countered by the centrifugal force of the memory and encounters which define a singular life. We all have different associations and relations, so much so that “the affect of each individual differs from the affect of another as much as the essence of one from the essence of another” (EIIIP57). As much as the affects are social, constituting the ground of collectivity, necessarily relational in the intensity of their loves and hates, they are also irreducibly singular, constituting a particular character. In a word, they are transindividual. There is no emotional politics, a reduction of everything to love and hate, without a politics of affects, without a political attempt to organize the affects, to create and sustain loves and hates. Statements that X loves or hates Y must be viewed in their necessarily constitutive function. They are less an attempt to report on the existing affects, than an attempt to produce affects.We hate those who harm the things we love, and love those who harm the things we hate. Reports about hates and loves are always an attempt to reorganize affects, to produce and reproduce the same loves and fears, hates and hopes. There is no statement about affects which is not acting on the terrain of affects. The political ground of affects is necessarily an unstable one. As Spinoza argues in the Tractatus Theologico-Politicus, regimes that are based on the affects, on the imagination, such as theocracy are necessarily unstable. Any attempt to impose a uniform structure of feeling necessarily comes up against its own internal limitations in the idiosyncratic assemblages of affects that define different strivings, (different "forms of life" if one wants to be Tiqqunist about it). This is why such regimes are necessarily intolerant of any deviation of practice or interpretation. The more a political system sustains itself by affects and imagination, as in regimes of superstition, the more authoritarian and intolerant it must be. Since the multiplicity of loves and hates are necessarily irreducible, produced by the multiplicity of strivings, the only commonality that exists is at the level of the sign, and the instability of the imaginary representation. We do not all imagine the same things under the name "America" or "Freedom," each particularizing the abstraction with our own imagination. For some the word America connotes baseball, for others apple pie; for some the word freedom is defined by the First Amendment, for others it is the Second. Such affective objects offer a commonality without communication, a shared object of love or hate that is only suppressed conflict.We believe ourselves to be unified under the same loves, and divided by the same hates, but these unities and divisions are only ever imagined. This is why "hating" and "loving" such abstractions are the preferred code words for racist politics. There are those for who the words "America" and "Freedom" taken together can only mean white America and its freedom to exploit and dominate. It is thus possible to find not only a fascistic imperative in such divisions between love and hate, a demand to feel and think the same, but an evasion of thought. Emotional reductionism is our modern superstition. It is an ideology without an idea, without a claim of a doctrine, or a demand of thought.